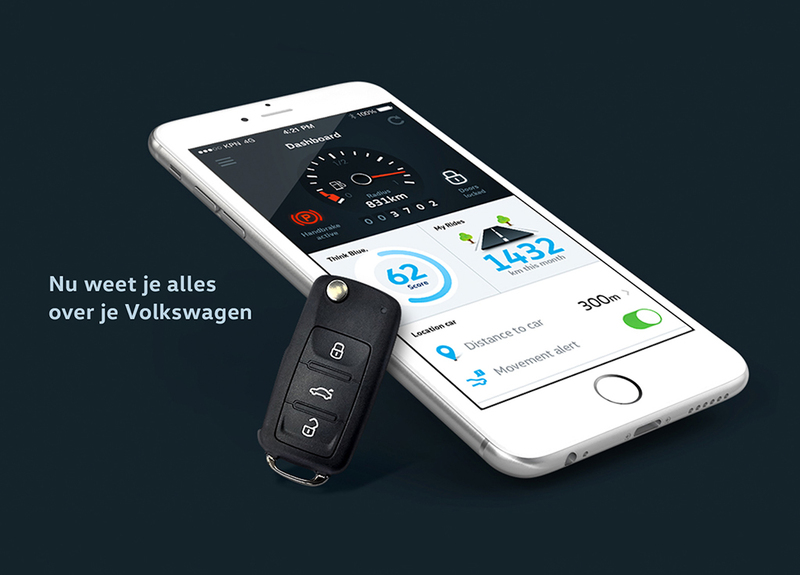 My Volkswagen is an app developed for Volkswagen with the aim of getting car owners more involved with the brand after they’ve purchased a car. For most people, the car is a ‘black box’. This leads to uncertainty: a sudden malfunction, an unknown warning or unexpected maintenance costs. 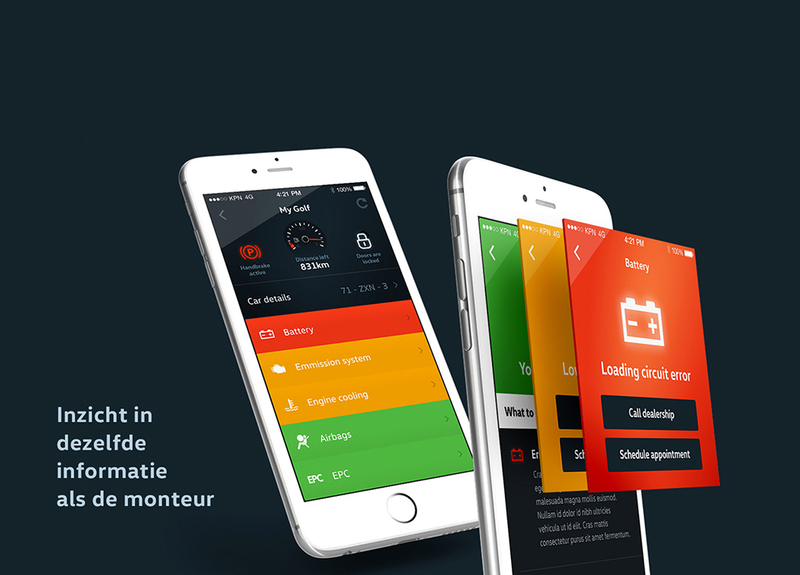 The app opens the black box and gives people insight into their car and their own driving behavior. For example, people get instructions about driving more economical and solving practical problems, such as the recurring question whether your car is locked or not. 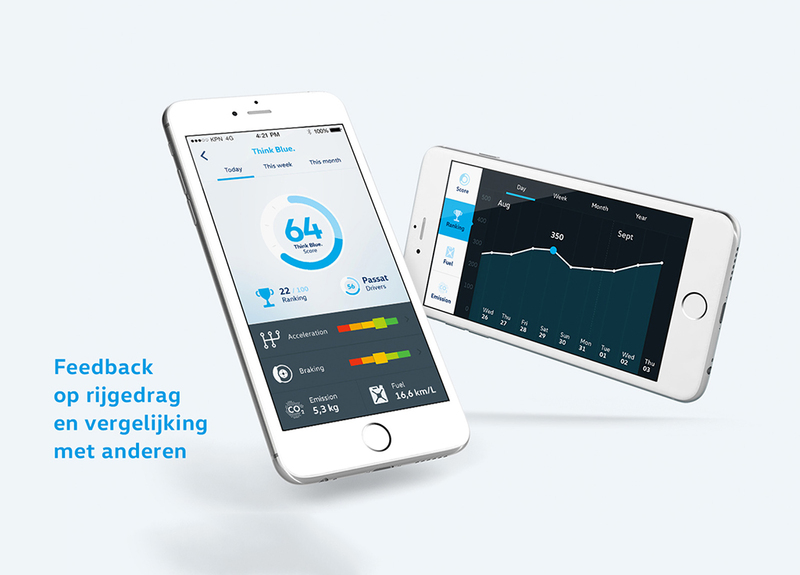 Three important design choices were central: (1) the app only gives relevant information if the car is standing still, (2) the app does not share any personal data with Volkswagen, and (3) no data are sent from the app to the car (100% hacker proof system).